DEKALB COUNTY, Ind. 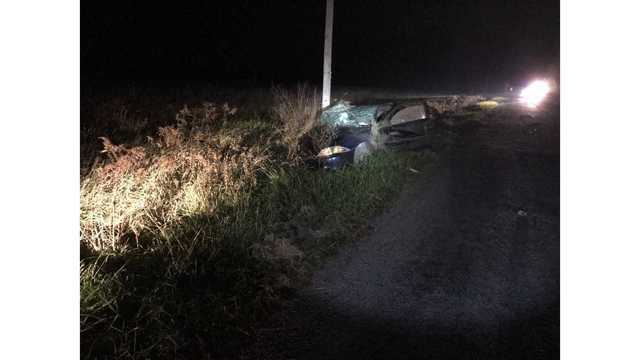 (WANE) - A man is dead after a car accident early Saturday morning. DeKalb County Sheriff’s say the accident happened at 8000 County Road 64, in DeKalb County. That’s just inside the state line, west of Hicksville. Police say the driver, 42-year-old Gregory Ordway of Saint Joe, was traveling westbound on C.R. 64, when he left the roadway hitting a ditch, and traveled hundreds of feet before coming to a rest. Ordway died as a result of the crash. Police say he was not wearing a seatbelt and that speed appears to be a factor in the crash.